A gourmet community market and deli will be the next retailer to add its name to the vibrant mix of neighborhood-centric shops, services, restaurants and conveniences in Jersey City’s SoHo West (south of Hoboken, west of New York City) Community. Fresca Gourmet has signed a lease to occupy 5,000 square-feet of ground floor retail space at 300 Coles Street within the new and emerging community on Jersey City’s Hoboken border. The popular market offers hot food, deli sandwiches, wraps, salads, prepared meals, and a host of everyday groceries. Scheduled to open in fall, 2018, Fresca Gourmet will join a list of prominent retailers already open and available to residents of the SoHo West Community, including an 8 Springs Studio, a Pilates and Yoga studio; Viaquenti Academy, a bilingual pre-school; Brewshot, a coffee shop/bar and restaurant, Cycle Mix, a spin cycle establishment, and Art House Productions, a non-profit arts facility that includes a 99-seat black box theatre. The SoHo West store will be the second Jersey City location for Fresca Gourmet, following in the footsteps of its grocery and deli at 115 Town Square Place in the downtown Newport neighborhood. As one of the fastest growing new development communities in Hudson County, SoHo West presented the owners of Fresca Gourmet with a prime opportunity to expand its business to an up-and-coming neighborhood of luxury homes and services that’s in close proximity to its original location. The brainchild of developer Manhattan Building Company, SoHo West is a vibrant new neighborhood of oversized residences in highly-amenitized, mixed-use buildings on the border of Jersey City and Hoboken. Its current offering, Soho Lofts, is the third residential building to be introduced in the community. 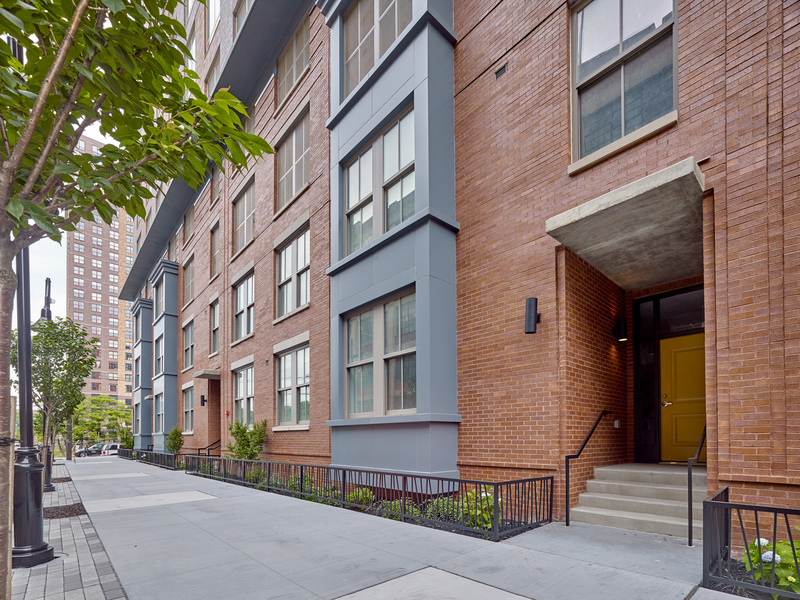 More than 75% of the 377 rental units at Soho Lofts have been leased since its late fall launch. Designed to provide a socially-infused urban lifestyle, the professionally-decorated communal spaces radiate a chic and trendy feel that’s on par with fashionable resort destinations and designer five-star hotels. Found within the industrial-inspired community are contemporary lounges, including a retro arcade, gaming areas and tech lounge, fully-equipped demonstration kitchen and private party room, surround sound media room and private conference rooms, children’s playroom, dog grooming suites, state-of-the-art fitness center with ten-person sauna and indoor/outdoor yoga room.